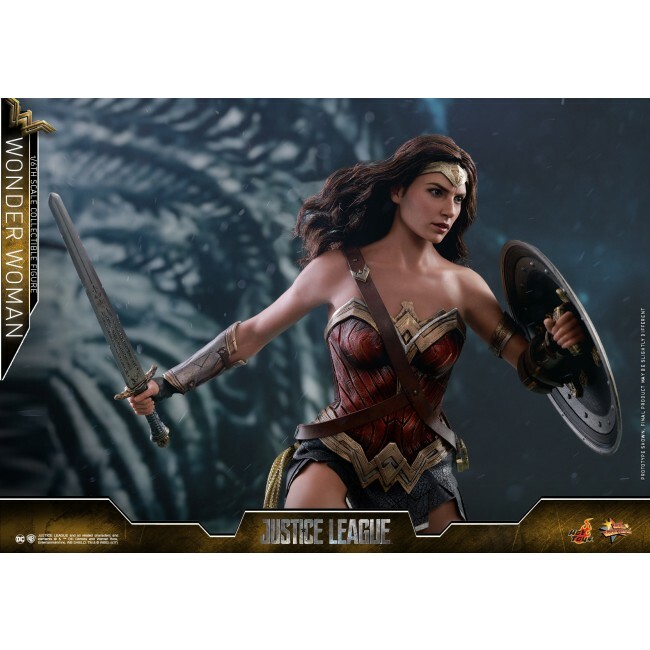 Prior to the long awaited DC Comic’s blockbuster Justice League hitting the theatre, Hot Toys has already introduced some of the major league members. 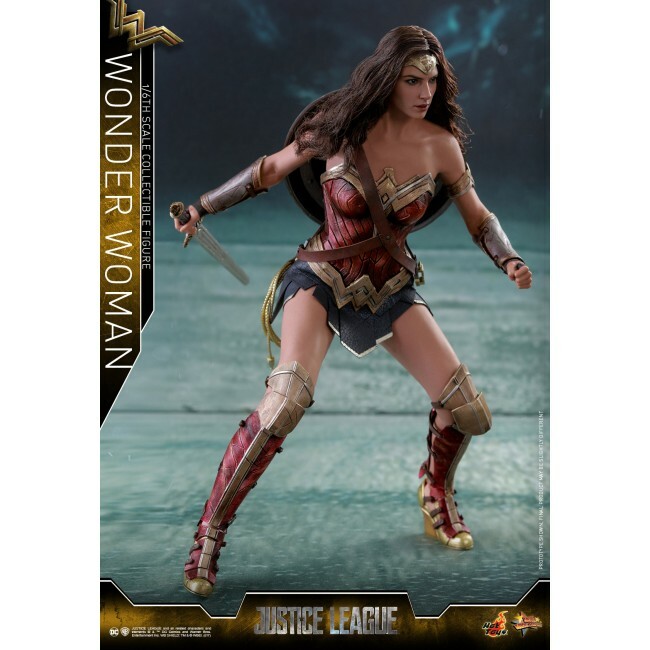 On top of Batman, Aquaman and the Flash, here comes the fan-beloved female superhero – Wonder Woman! 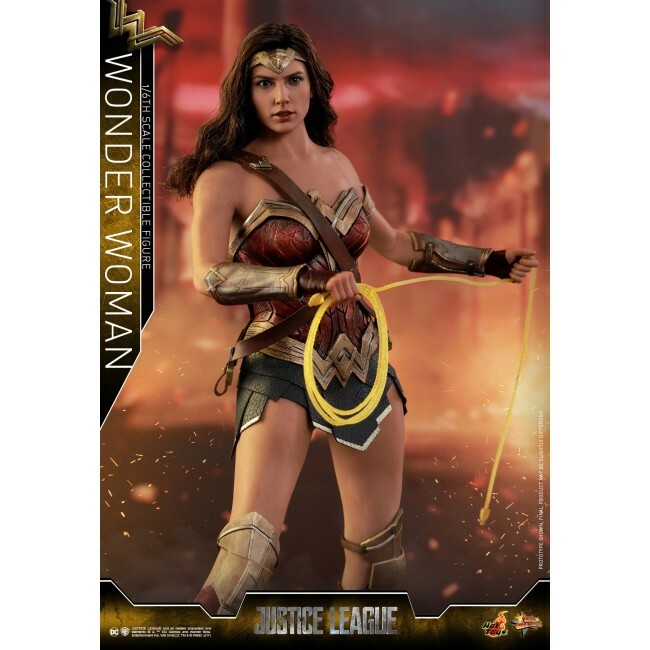 Together with Bruce Wayne the Batman, Wonder Woman recruited other superheroes to form the unprecedented Justice League to save the planet from the catastrophic destruction. 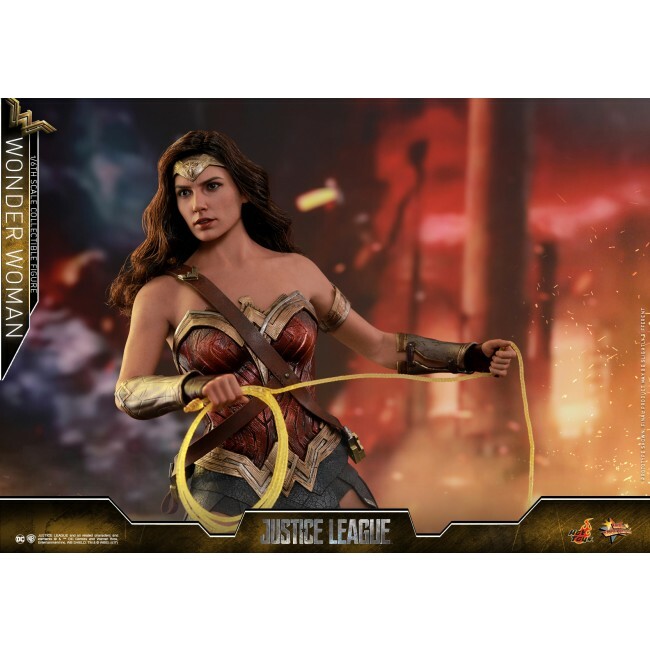 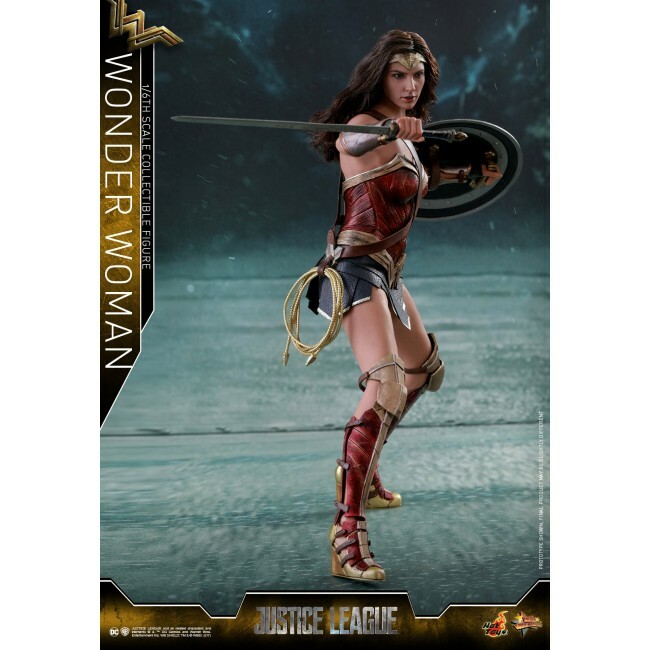 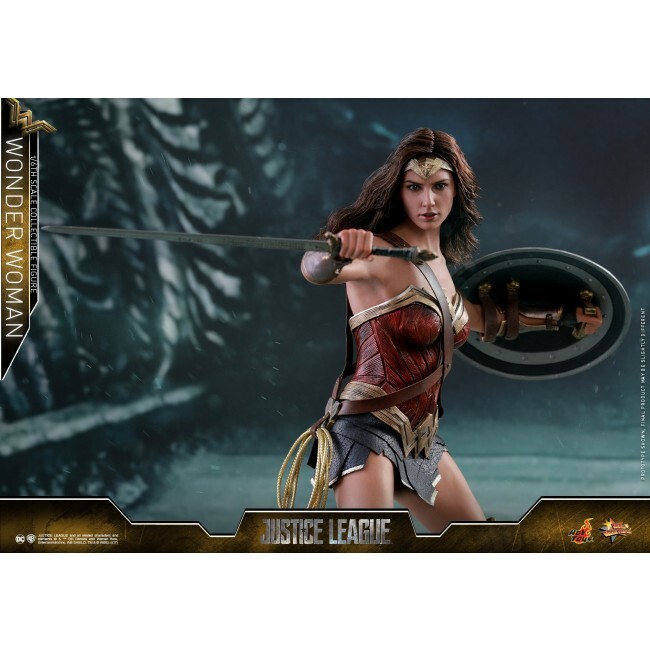 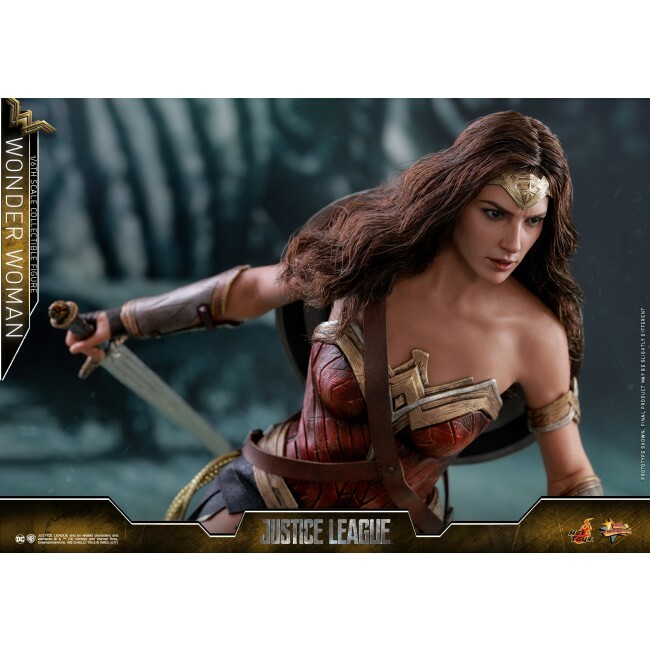 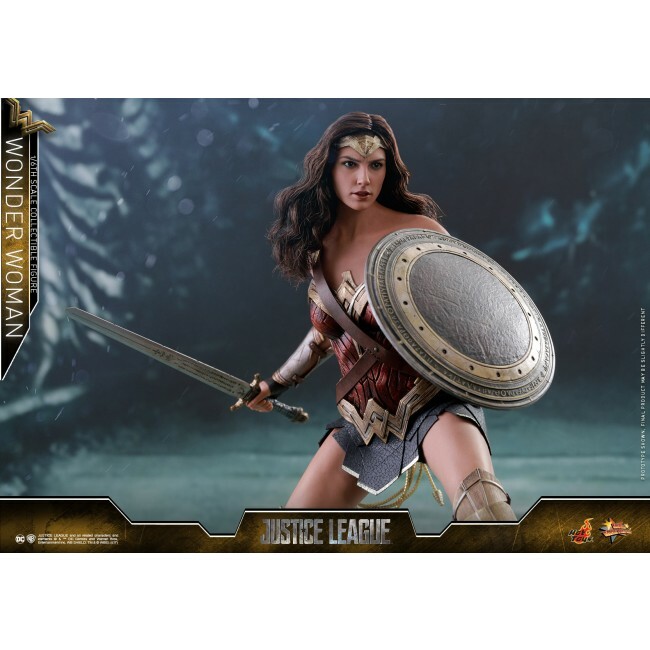 Hot Toys is extremely thrilled to introduce the 1/6th scale Wonder Woman from the epic screenplay Justice League. 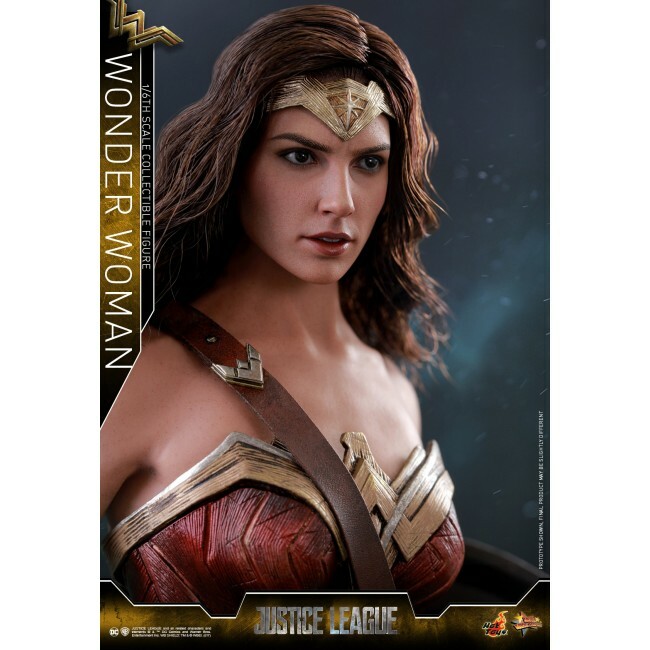 Meticulously crafted based on the appearance of Gal Gadot as Wonder Woman in the movie, the figure features a newly painted head sculpt with long curly dark brown real fabric hair and Wonder Woman’s signature tiara, a specialized body tailored for Wonder Woman, expertly tailored armor with heavier battle damage and weathering effect. 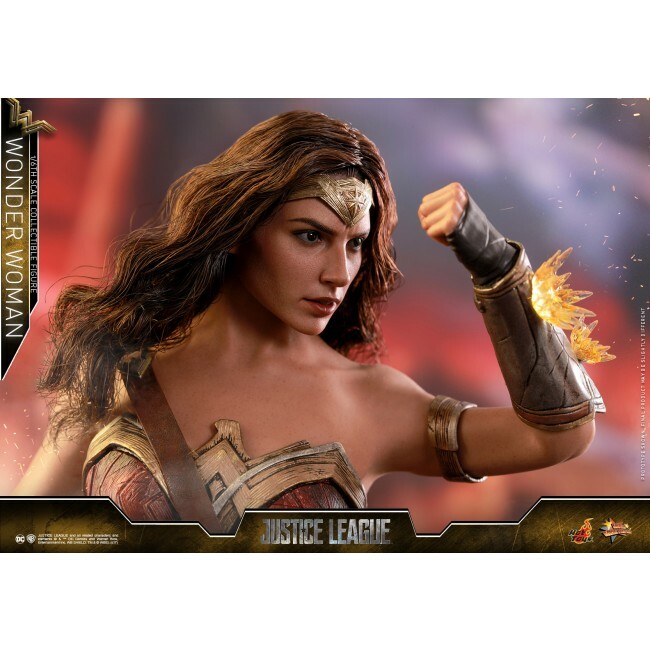 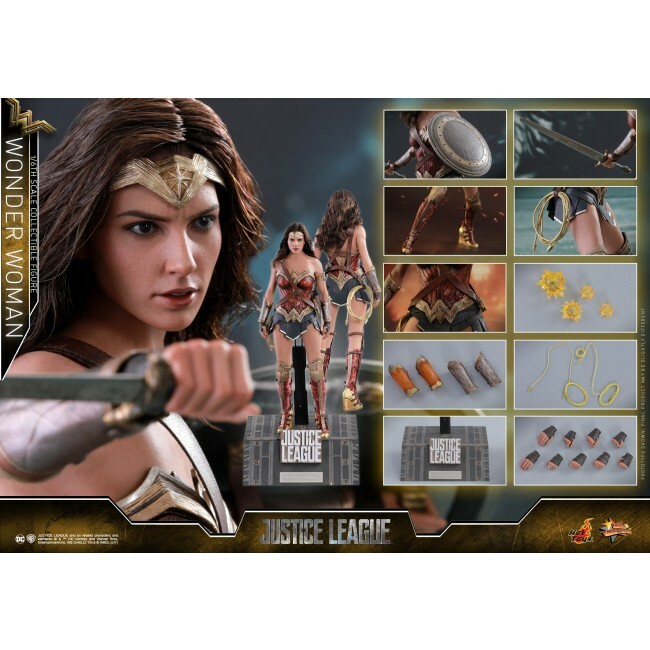 Aside from the amazing costume, the figure also comes with assortments of weapons and accessories such as a the sword, a shield with weathering effect, two pairs of Wonder Woman’s signature “Bracelets of Submissions”, her “Lasso of Truth”, bullet sparkling effects, and a specially designed Justice League themed figure stand. 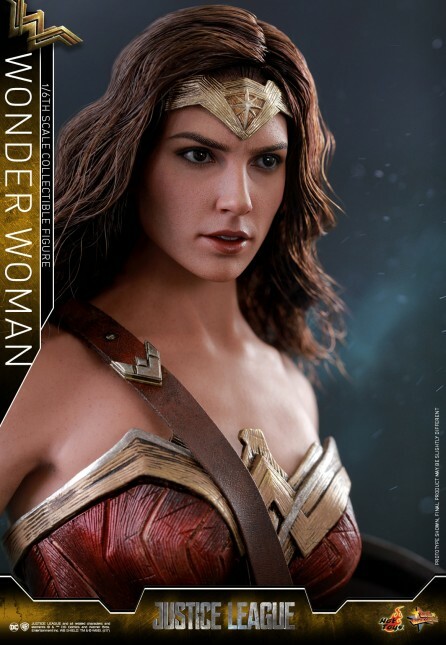 The warrior princess is a beautiful piece you shouldn’t miss. 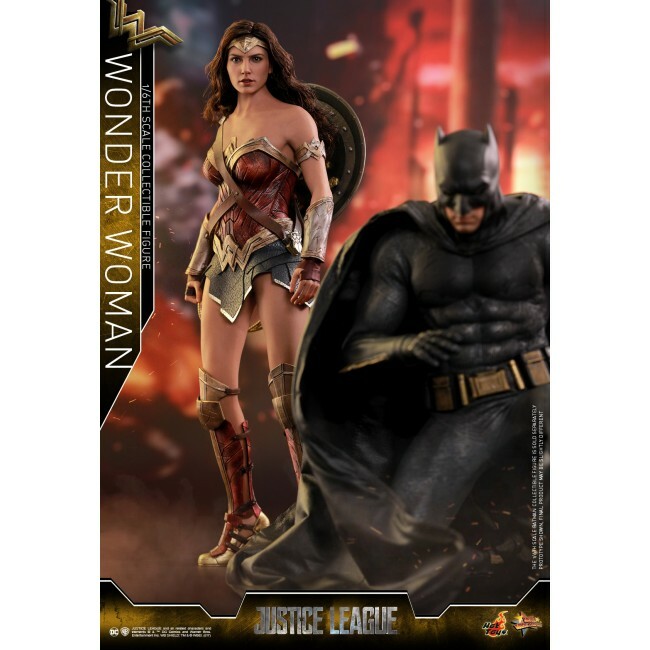 Pre-order now and place it along with other Justice League figures.